Partners must run both 800s together (i.e. both partners will each complete a total of 1600m running). The wall balls cannot start until both partners have completed the first 800m run. 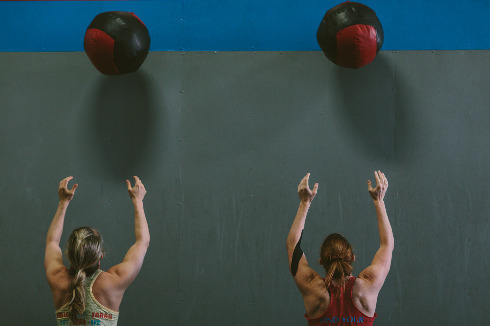 The 150 wall ball reps are split, and can be shared/partitioned between partners in any fashion. 10 deadlifts must be completed at the top of every minute while completing the wall ball reps, and may also be shared/partitioned between partners in any fashion. Time is recorded when both partners have completed the second 800m run.